What's Going On at MEMS? MEMS continues to sponsor the Premodern Colloquium (meets Sundays once a month) and support the Medieval Lunch series (see schedule under Rackham Seminars on this site) as well as occasional MEMS Lectures. We hope you will join us, and watch the website calendar of events for upcoming lectures and other activities of interest! 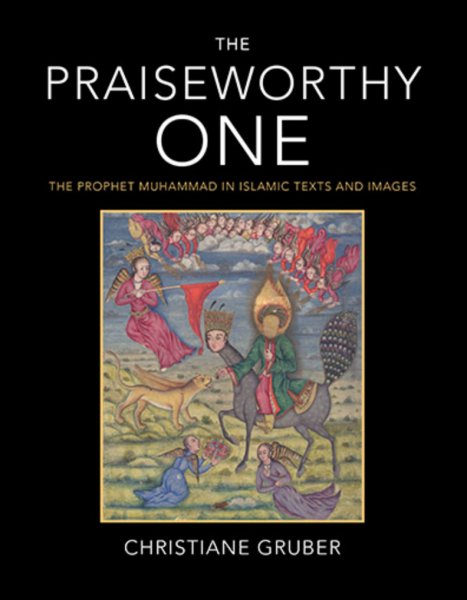 Join us for a lively discussion with Professor Christiane Gruber about her new book, "The Praiseworthy One: The Prophet Muhammad in Islamic Texts and Images." The book, published by Indiana University Press, is an exploration of the Prophet Muhammad’s significance in Muslim life and thought from the beginning of Islam to today. The first twenty graduate students who sign up will receive a free copy of the book! Please RSVP using this link by February 19th: https://goo.gl/forms/GDZ6fEUuuC2VhUTD2. If you are a person with a disability who requires an accommodation to attend this event, please reach out to islamicstudies@umich.edu at least 2 weeks in advance of this event. Please be aware that advance notice is necessary as some accommodations may require more time for the university to arrange.